When WordPress is your content management system, there is a myriad of plugins available to support your targeted goals with your site. Plugins not only allow you to create a visually appealing and user-friendly site, they can also help you with search engine optimization (SEO). Search engines have proven to be the primary source of website traffic, so it is crucial to take the necessary steps to rank high in the search engine results page (SERP) for maximizing visibility. With so many tools available to you, be sure to take advantage of them! Begin by finding the right plugins that meet your needs. For optimization support, here are the best SEO plugins for WordPress and how to get started. Among the most popular of all WordPress plugins, Yoast SEO provides the resources to support all of your optimization efforts. Features include the ability to add SEO titles, meta keywords, and meta descriptions to every page you create on your website. Additionally, Yoast SEO provides suggestions to help you improve your work. Data Transfer: In order to successfully utilize this plugin, be sure to transfer the data from any previous SEO plugin you’ve been using on your site. Once the data is completely transferred, you can delete your old SEO plugins. If you plan to set up Yoast SEO on a new blog, you can skip this step. General Settings: On the left-hand navigation, click the SEO icon to go to your General settings page for this plugin. Although there is a button for configuration wizard, we are going to take you step-by-step through the setup process instead. Features: Click on the features tab to go to your advanced settings. Under this tab, you will find options for Titles, Meta, Sitemaps, XML, Social, Advanced, and Tools. Go through each and adjust to your preferences. Webmaster Tools: Once you have connected your WordPress to Google Analytics, you need to verify your site. This tab eases that process by allowing you to add the meta tag to your website. Enter the meta code you were given from each search engine in their respective fields. Be sure to save all the changes you make as you go. After you launch your website, it is important to have insights in place to effectively track your progress. In order to make efficient progress, this plugin helps you see measurements of your audience, page analytics, internal link tracking, and highlights opportunities for site growth. Click on Insights, then go to Settings in your WordPress dashboard menu. Click the Authenticate with your Google account button. Select your profile when it appears on the screen. Click Allow to give MonsterInsights to access to your Google Analytics data. Select the website profile you want to authenticate. Click I’m not a robot, then Complete Authentication. You can also manually enter your Google Analytics UA code. In this option, you will not be able to use the admin dashboards in MonsterInsights. First, find your UA code, or tracking ID (format: UA-000000-00) in Google Analytics. To do this, sign in to your Google Analytics account, select your website’s profile, and then the Admin tab on the right navigation bar. You should be able to see your UA code at the top of the page. Copy the code, then go back into MonsterInsights on WordPress by selecting Insights, then the Settings menu in the dashboard. Select Click here to authenticate manually link. Paste your UA code in the text field that appears. Then, save your settings panel. The MonsterInsights dashboard can take up to 24 hours to display your data. Once completed, you can readily see how your website is performing by going to Insights, then Dashboard. Gain insight into your competitors’ site measures to improve your own! Although it is a paid subscription, SEMrush consistently proves its worth and status as a top SEO plugin. 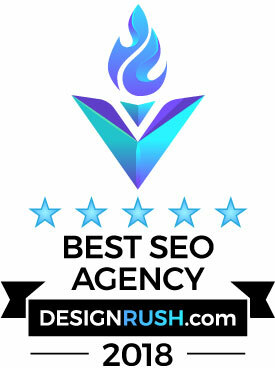 It offers access to exclusive data from your competitors to better acquire backlinks and organic keyword rank. Choosing Your Toolkit: When you subscribe to this digital marketing suite of services, you gain access to a full collection of tools and reports offered by SEMrush. That being said, the large volume can overwhelm a new user who is unsure where to start. For this reason, SEMrush offers curated menus of tools and reports to ease the process of finding specific resources. Different toolkits include SEO, Advertising, Content Marketing, Competitive Research, and Social Media. By choosing the best toolkit for your efforts, you can quickly get started on the most relevant research. Researching Domains: A helpful research tool SEMrush offers is the easily accessible Domain Overview report. Locate the search bar and enter the desired domain. SEMrush will then show the complete information available for the specified site. There will also be quick links to conduct further research on backlink analysis, keywords (paid and organic), etc. At the click of a button, you can access any website’s top competitors, backlinks, keywords, and marketing history. Easy navigation accessibility on the left-hand side lets you go between deep reports without the need to re-enter your search query. Researching Keywords: To research a keyword, enter the keyword or phrase in the search bar. SEMrush will then populate an informative Keyword Overview report. You will then be able to access top-level metrics and comprehensive reports on phrase match keywords, keyword difficulty, semantic keyword groups, cost-per-click, etc. Creating Projects: Starting a Project helps you gather data even beyond the SEMrush database. With this, you will be able to understand a website’s online visibility through appropriate tracking and analysis tools. Tools within Projects include Site Audit, Social Media Poster, Position Tracking, and On-Page SEO Checker. Once you begin, your project will gather data over time, presenting a summary of progress on your Main dashboard and SEO dashboard. Generating Reports: At any time, SEMrush allows you to export data spreadsheets to keep records of your research. The tools you utilize in projects can easily be integrated into your research data reports. For visual presentations, you can also create custom PDF versions in the My Reports section, offering easy-to-use templates and unlimited customization options.